(1) Water filling machine/packaging machinery includes: Washing-filling-capping 3 in 1 machine, lamp inspection, label shrinking machine, inkjet printer, hot shrink film packer and conveyors. It is a full automatic production line. 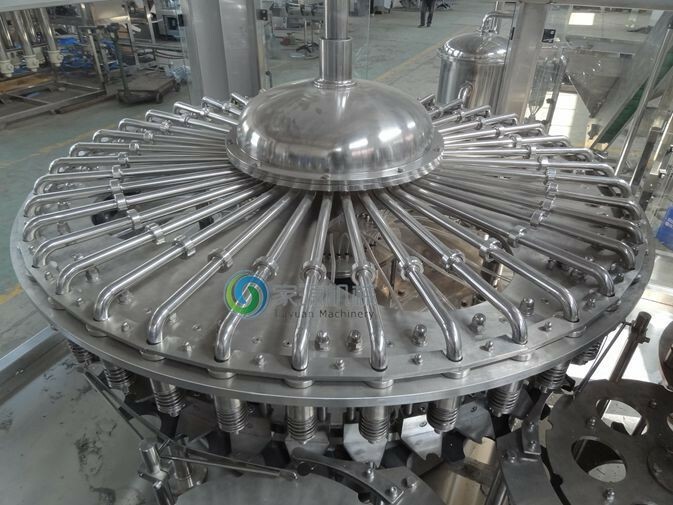 (2)The water filling machine is mainly used in the beverage filling operations. 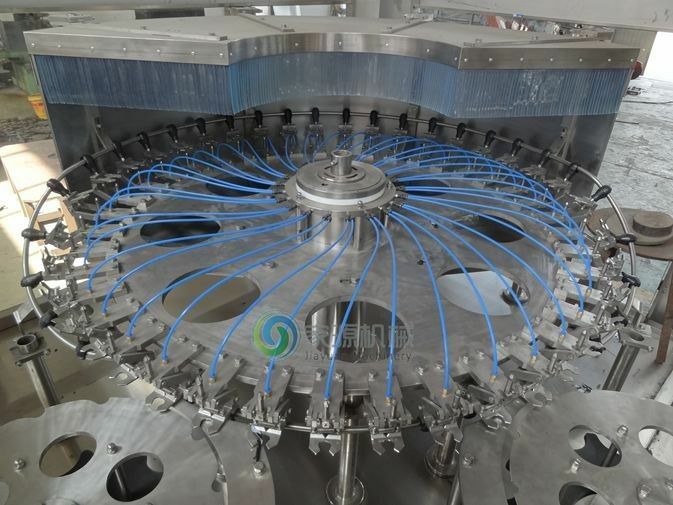 The three functions of bottle wash fill and seal are composed in one body of the machine. The whole process is automatic. (3)The machine is used in filling juices, mineral water and purified water in bottles made of polyester and plastics. The machine can also be used in hot filling if being installed with temperature controlling device. The handle of the machine can be freely and conveniently turned to adjust the machine to fill various types of bottles. (5)The advanced OMRON programmed controller (PLC) is adopted to control the machine to run automatically while a transducer is used in the bottle -entering chains to adjust speeds and coordinated with the transducer of the main machine to make the operations of moving bottle forward steadily and reliably. 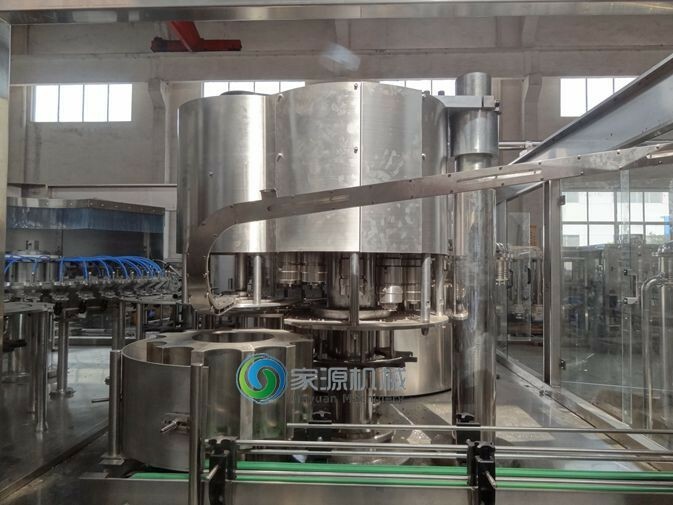 (7)The filling category of lower vacuum (Z type machine) is applicable in glass bottles, filling alcohol, soy and such like materials. The aluminum theft proof cap and plastic cap can be adopted. The machine is idea-preferred equipment for beverage makers. Built-in safeguard mechanism ensures the safety of operator and machine.